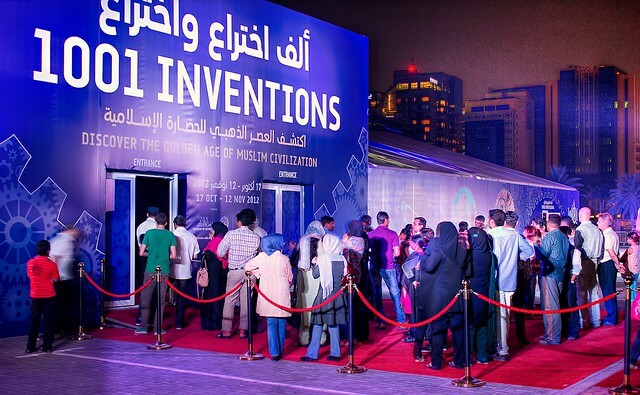 Qatar, 13th Nov. 2012 – The Museum of Islamic Art Park enjoyed a record number of visitors this last month as more than 72,000 people visited the blockbuster 1001 Inventions show, which closed yesterday after a successful 4-week run in Doha. Following smash hit residencies in major world cities like London, New York, Washington DC, Istanbul and Los Angeles, the world-renowned science and culture experience opened to great fanfare in Doha just last month. The 1001 Inventions science heritage exhibition, about the Golden Age of Muslim civilisation, was brought to Doha in collaboration with Qatar Museums Authority (QMA), the Museum of Islamic Art and Qatar Shell. Opened by Her Excellency Sheikha Al-Mayassa on the 16th of October, it was later visited by the Emir of Qatar, His Highness Sheikh Hamad bin Khalifa Al Thani, who met with young science explainers working inside the specially-built marquee that houses the award-winning exhibition. and the 1001 Inventions Science Explainers. 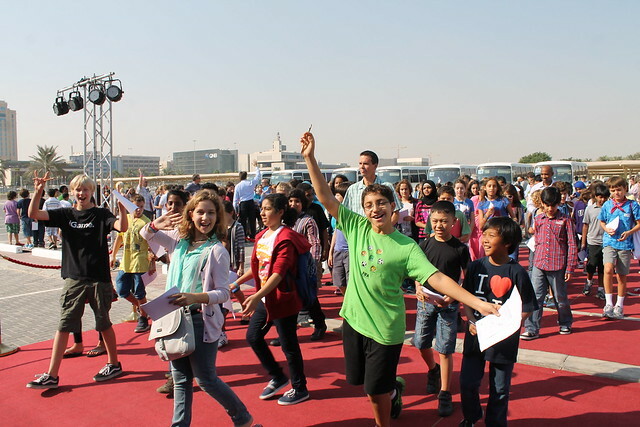 An unprecedented 15,000 Qatari schoolchildren visited the show as part of organized field trips in the mornings, while the vast majority of visitors during the evenings were local families who had been attracted to the show thanks to a countrywide marketing campaign by QMA. “Much of the success is down to the excellent work that the teams at Qatar Museums Authority, the Museum of Islamic Art and Qatar Shell, have done in launching high profile outreach campaigns and providing a world-class environment to host the exhibition. Independent research carried out during the exhibition’s record-breaking run demonstrated the exhibition’s achievements in changing local people’s perceptions about science, with 90% of surveyed visitors saying the 1001 Inventions show made them feel more positive about the future of science in Qatar. 1001 Inventions exhibition at the Museum of Islamic Art Park in Doha, Qatar. A separate survey of local school-teachers who visited the exhibition was even more positive with 90% stating the 1001 Inventions content was relevant to the school curriculum and 100% of all respondents stating they wanted to see 1001 Inventions included in the curriculum. 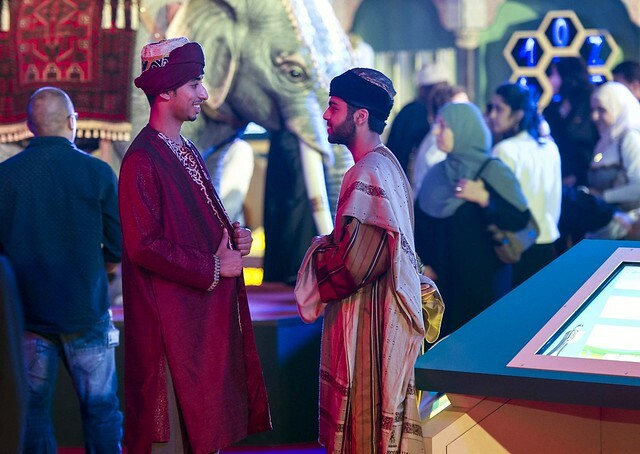 The research also showed that the visitor numbers reflected the diverse national mix within Qatar. 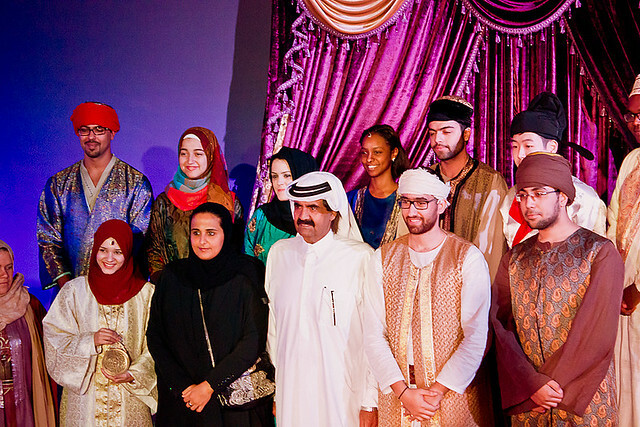 15% of visitors were Qatari nationals, with a third being ex-pats from Asia and the West. The vast majority of attendees spent more than 40 minutes exploring the different ‘zones’ within the exhibition, with the most popular sections being those dedicated to engineering, medicine and astronomy. Almost three-quarters of those surveyed said they wanted to introduce 1001 Inventions to their friends, family and co-workers. 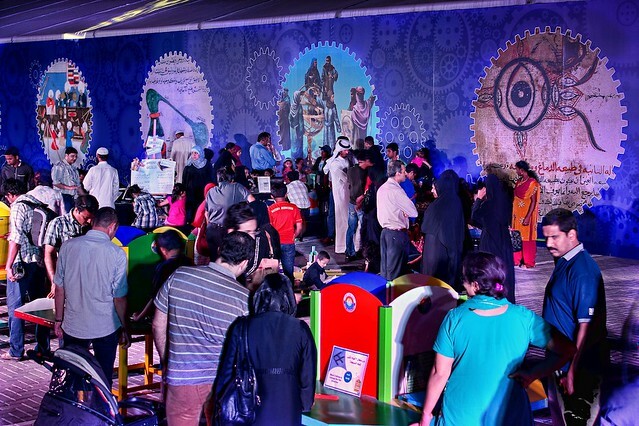 The 1001 Inventions was showcased in the Qatari capital, Doha, in a purpose-built marquee inside the Museum of Islamic Art Park and welcomed visitors, free of charge, for four weeks until the 12th of November 2012. Although 1001 Inventions is now closed, a sister exhibition produced by the same team called Arabick Roots, which is displayed inside the Museum of Islamic Art building, is currently enjoying a three-month residency in Doha until 19th January 2013. Arabick Roots was created by 1001 Inventions in collaboration with the Museum of Islamic Art and traces the untold story of how knowledge from Muslim civilisation inspired the scientific revolution in Europe. Further information can be found at www.mia.org.qa. Another 1001 Inventions exhibition is currently showing in Washington DC, where it is hosted by the National Geographic Museum. 1001 Inventions is a leading international science and cultural heritage brand that has reached over 50 million people through its award-winning educational programmes, blockbuster exhibitions, films, books and international events. In 2011, following highly successful residencies in London and Istanbul – which secured almost a million visitors – our English language exhibition was crowned Best Touring Exhibition of the Year at the Museums and Heritage Excellence Awards. The 1001 Inventions brand has received recognition from industry leaders, statesmen and academics from around the world. In 2011, 1001 Inventions was declared the World’s Best Touring Exhibition by the Museums and Heritage Excellence Awards in London. The exhibition’s introductory film “Library of Secrets”, starring Sir Ben Kinglsey, has been downloaded more than 20 million times and won more than 20 industry awards including “Best Film” recognition in Cannes, Los Angeles and at the New York Film Festival. In 2010, 1001 Inventions was presented with the Google-sponsored Science and Technology Award at the Mosaic Talent Awards.